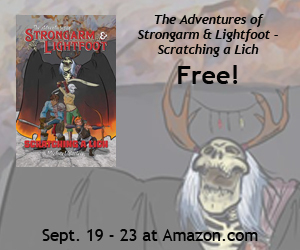 The free giveaway for The Adventures of Strongarm & Lightfoot – Scratching a Lich is finally underway. There was some kind of screw-up or glitch on Amazon’s end that caused the giveaway, which I set up quite a while ago, to disappear entirely. Not the thing you want you want to find out on Monday morning, several hours after the giveaway was supposed to start. It’s been corrected and the giveaway will proceed as planned. The Kindle edition will be free from until Friday, September 23, so grab a copy for yourself or gift one to a friend, and then go pre-order the Kindle edition of book two, Assassins Brawl, which comes out next Tuesday — assuming the Amazon gremlins don’t attack again. If you can’t wait for next week or you’re a fan of hard copies, the print edition is available now! Action Figures – Issue Seven: The Black End War and Action Figures – Issue Eight: Managed to sneak some work in on both last week, and I’ll get some more done in a few days, but my wife’s show schedule continues to be disruptive, but that’s okay — especially since the next show on the schedule is the Connecticut Renaissance Faire, and I’ll be the featured author on Sunday! 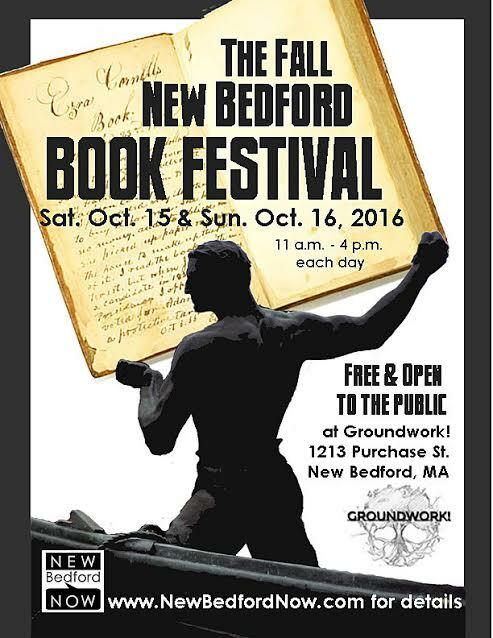 Saturday & Sunday, October 15 & 16: The New Bedford Book Festival. Runs 11 AM to 4 PM both days. Scroll down for a bit more on this. Saturday, December 10: The OtherWhere Market at Mill No. 5 in Lowell. I will be there, sharing space with my wife. The New Bedford Book Festival is posting author bios as they lead up to the big event, and I was featured in a recent post — complete with one of my book covers, which is flattering. Finally, I’ve been kicking around the idea of starting up a newsletter, but then I realized I didn’t need to, because you can choose to follow this blog via e-mail, which is basically a newsletter subscription. Scroll to the top of the page and look right under the header, on the right, for the “follow” button. Click it and get the blog posts sent to you directly!